Amazon says it will start offering delivery of select Whole Foods groceries in four cities, the biggest move yet to link the organic grocer to Amazon's grocery delivery experiments. 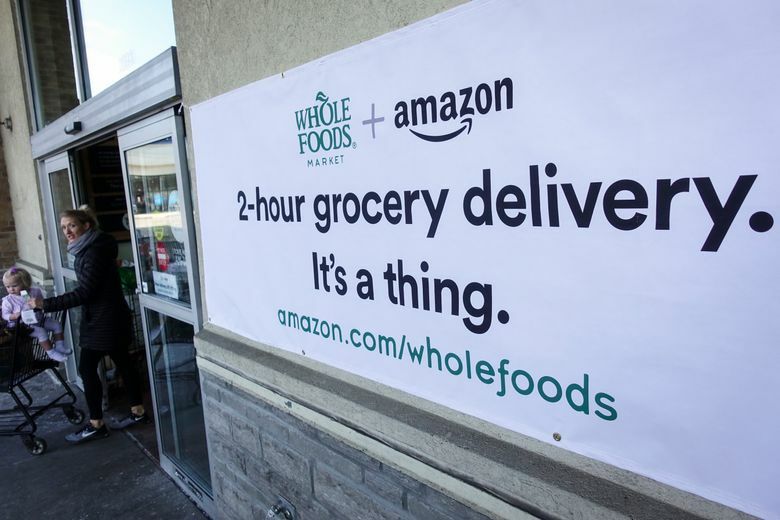 Amazon is using Whole Foods Market stores in four cities as depots for quick grocery delivery, the biggest move yet to incorporate the organic grocer into the Seattle retail giant’s e-commerce empire. 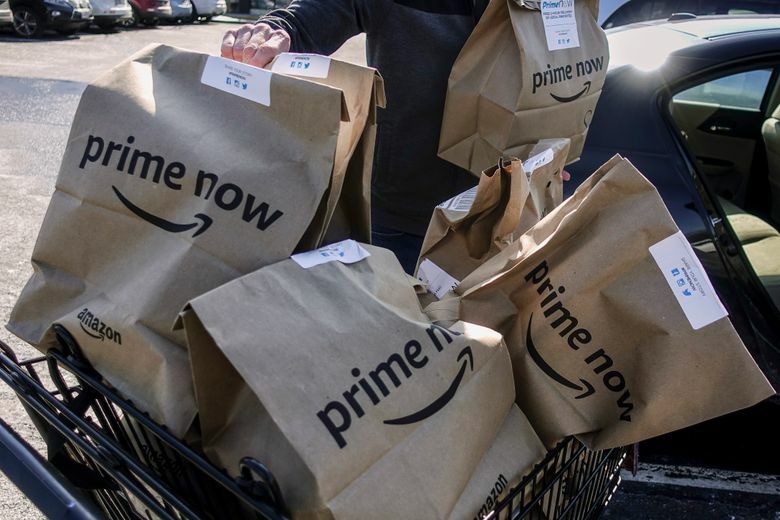 Prime Now, Amazon’s one- and two-hour delivery service, started late Wednesday to offer deliveries of a range of items picked from Whole Foods shelves in Austin and Dallas, Texas; Cincinnati; and Virginia Beach, Va.
Amazon sealed its $13.5 billion purchase of Whole Foods and its more than 460 stores in August, and moved quickly to link its operations with the Austin-based grocer. 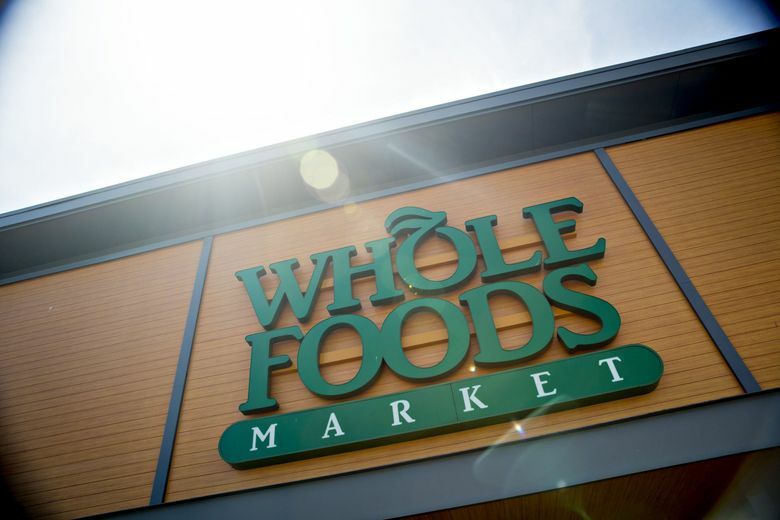 Whole Foods’ house brands, including 365 Everyday Value, were added to Amazon’s retail site and the Amazon Fresh grocery delivery service. Amazon placed Lockers, secure delivery points for packages, in almost 400 Whole Foods stores. And last week, Amazon announced that its flash-deal-dispensing Treasure Truck vans would make stops at Whole Foods locations. But Wednesday’s announcement is the biggest step toward what many analysts expected Amazon to do with its new grocer: use Whole Foods and its inventory of groceries as an extension of its warehousing network. When someone orders through Prime Now, a service available to members of Amazon’s $99-a-year Prime program, employees in compact urban warehouses pick items off packed shelves and hand them off to contract drivers for delivery. In the case of the Whole Foods pilot, employees will pick items from store shelves, and hand them off to a driver. Amazon, usually coy about future plans, strongly hinted that it planned to expand the Whole Foods delivery trial beyond its first four locations. Also expanding: Landry’s domain. Last year, the founding leader of Amazon’s Prime Now program added oversight of Amazon Fresh, the $14.99 a month grocery delivery service that offers wider selection, and the Amazon Restaurants delivery service, Recode reported in December. Not every item in Whole Foods stores will be available for Prime Now delivery, Landry said. She didn’t specify how many items would be available for quick delivery, but said the selection encompassed “the vast majority of things that people buy most frequently,” including produce, meat and seafood, and other staples. Groceries and related consumable items have been popular purchases in the three years Amazon has operated Prime Now, Landry said, saying items like bananas, bottled water and paper towels are regularly among its best sellers. “This is a super important space for fast delivery,” Landry said. Existing relationships between Whole Foods and other delivery services, and Prime Now and other grocers, aren’t affected by the new delivery offering, Amazon said. Grocery delivery service Instacart, for example, also offers delivery of Whole Foods items within two hours. 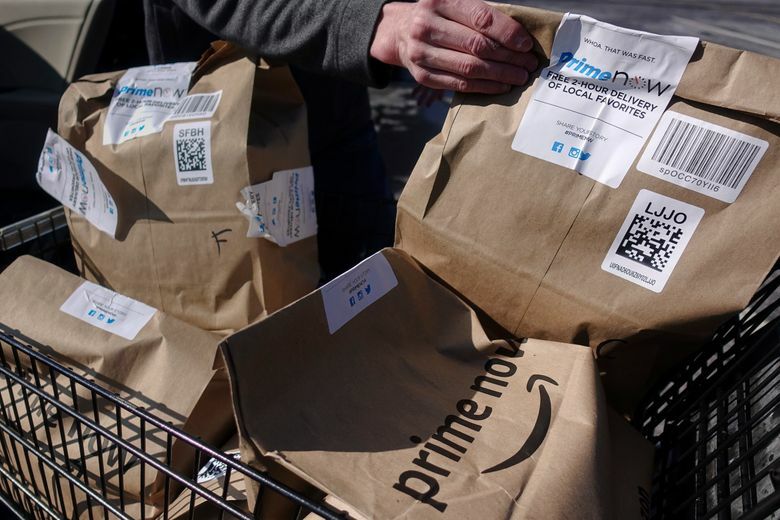 And in several cities, Prime Now delivers goods from regional or national retailers, partnerships that, in Seattle’s case, include Bartell Drugs and PCC Community Markets.